Will Gerrard start against Villa? 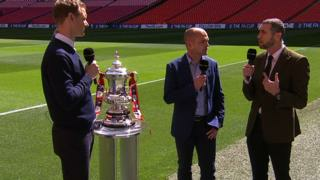 Dan Walker is joined by Danny Murphy and Martin Keown to preview Sunday's FA Cup semi-final between Liverpool and Aston Villa at Wembley. Steven Gerrard is available again for the Reds after serving a suspension, while Villa striker Christian Benteke will be hoping to add to the eight goals he has scored since Tim Sherwood took over at Villa Park. 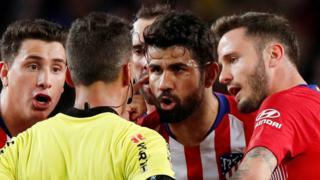 Listen to live commentary of the FA Cup semi-final between Aston Villa v Liverpool on Sunday 19 April on BBC Radio 5 live at 15:00 BST, and watch highlights on BBC One at 23:20 BST.